If you only had one hundred words a day, how would you raise your daughter to be strong and independent? How would you teach your son to respect women? What would you do to be heard? Set in the near-future where girls and women are only permitted 100 words of speech per day, Vox looks at what could happen if you were to deprive half of the population of language. It takes takes the current political climate in the United States and adds a layer of extremism. In Vox, members of Christianity and the "Pure Movement" control the White House and are seeking a shift back to traditional gender roles. Wrist counters, that emit painful electric shocks should someone exceed their word limit, is the main tool used to get women in line. Dr. Jean McClellan was a neurolinguist before she - and all of the women - were removed from the workforce. After the President's brother is in an accident, she is recruited to help with his recovery and negotiates her reprieve from the word quota, along with her daughter's. As she works on her assignment, she discovers that she is part of a much larger, and more terrifying, project. As a language teacher, and as someone who is not known for being particularly selective with her speech, Vox (Latin for voice) intrigued me when it arrived at my door. It's easy to compare this novel to The Handmaid's Tale, and in some respects it is similar. It describes a haunting world, all too easy to imagine, where women have lost their freedom. Vox is pro-feminism, pro-LGBTQ, anti-Trump, and anti-religious right. The most powerful parts of the novel involve the 6-year-old daughter, Sonia. Watching her navigate childhood while permitted to use essentially none of her language really tugged at my heart. However, a literary masterpiece this is not. To me, Vox felt like it was written and edited quickly, so it could be released as soon as possible. The last third of the book is especially hurried. Vox begins as a feminist dystopian and ends with the feeling of a thriller, which isn't necessarily a bad thing, but here it was rushed. Dalcher wrote Vox in two months, and I wish she had spent more time refining the delivery instead of rushing to publishing. There are many good ideas in this book and the premise is compelling. It's a quick read, speaks to our current political atmosphere, and isn't too graphic or dark. I also love Dalcher's messages about gender politics and about the importance of our voices. Vox is a reminder that what is simple is not always what is right and that we must never stop offering our voices for those who have none. Is this the best-written book? No. Is it a timely story with an important message? Absolutely yes. 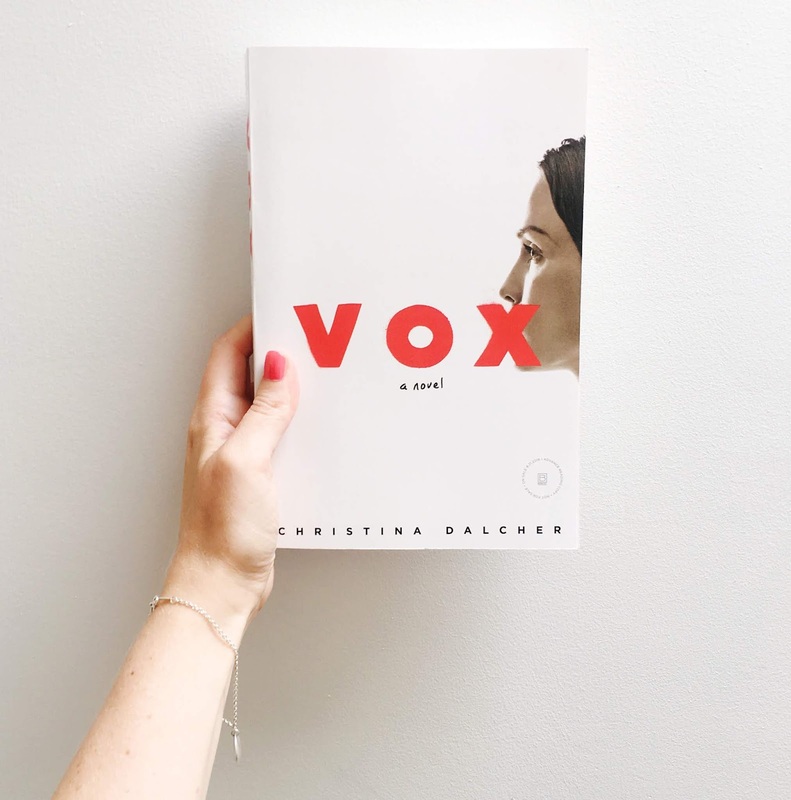 If you're a fan of The Handmaid's Tale, Black Mirror, or The Power by Naomi Alderman and are interested in a quick read with similar themes, you will certainly enjoy Vox. It is available wherever books are sold on August 21st.